According to various SEO experts it’s possible that the latest Panda update from Google will have a negative response to old content pages that make up your website. Your content may be interesting and well written but if it hasn’t been updated or refreshed recently it may be seen by Google’s spiders as irrelevant and surplus to your site’s requirements. Refreshing your old content pages doesn’t take long though, and there are several easy ways to do it. One of the most successful is to rewrite the content, either using the original keywords or updated keywords if you find they have changed. Alternatively if you don’t have time to completely rewrite your content you can make slight alterations throughout the text or add an update note that brings the page information into the now. If you have recently added a social media aspect to your SEO campaign you can also add widgets, ‘Like’ buttons and ‘Tweet’ buttons to each page. These simple additions act as new page elements and are looked at as new content by spiders and bots. Also adding the ability for visitors to comment on your page content is a good move. 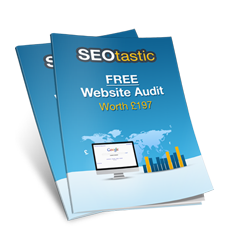 Don’t be fooled into thinking hundreds of search engine optimised content pages will automatically improve your search engine rankings. If they are old pages they could be ignored and if they’re ignored they might as well not exist.